No matter your relationship with your laid-off co-workers, you are grieving. You feel a sense of sadness, and you feel guilty that you survived the layoff. You valued your missing coworkers who may have shared your office space, lived in the cubicle next door or held down a key position on a team you lead. Your valued coworker is gone, and that jumbled set of emotions is real. Your grieving is normal. You are also experiencing an increased level of stress relating to both the increased workload and your distrust of management. Depending on how respectfully the layoffs were handled in your company, this distrust may run deep. Poorly treated layoff victims deepen the distrust the survivors bear their company. Anxiety and a lack of motivation also accompany the loss of coworkers in a layoff. Research indicates that many employees polish up their resumes and begin a job search. These positive actions help the downsizing survivor feel more in control of their situation – but they are bad news for the company. Some of the key players may decide that they don’t want to stay, waiting for the next bad news, in an environment of mistrust, anger, and insecurity. Laid off coworkers are experienced as a loss by the layoff survivors. Coping with this loss is a matter of letting go over time and after passing through stages of grief. The site states, “There has been much written about the process of coping with a loss. Some have divided grief into stages. The most commonly cited stages, based on the work of Elisabeth Kubler-Ross are denial, anger, bargaining, depression, and acceptance. 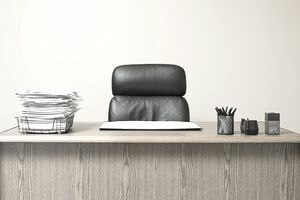 The majority of research on the response of employees to downsizing has centered on layoff victims; few studies have focused on the people who survived the layoff. But, these tips will assist you with the emotional aspects of coping with the loss of your coworkers. Recognize that your emotions are legitimate and that time passing is necessary for the intensity of your current emotional response to die down. In organizations where managers recognize and acknowledge this emotional component in a downsizing, employees return to productivity much sooner. Recognize that you may need to experience each of the stages of loss described in Kubler-Ross’s groundbreaking studies about grief. Seek access to your supervisor; assuming your supervisor is readily available and perceived by you as concerned about employees, and honest, reliable and competent, your time with your supervisor should help you feel reassured. Attempt to recreate the daily patterns you experienced prior to the layoffs. While much time in an office is invested by employees in talking about the situation after layoffs, the sooner you can recreate your prior patterns, the better for your mental health. Treat yourself with kindness. Now is the time to eat a portion of your favorite comfort food. Got chocolate? Share with coworkers. Bring in a casserole or cookies that coworkers can share. Small gestures mean a lot in the post-layoffs workplace. Talk out your feelings with co-workers who are likely experiencing loss just as you are. You can comfort one another. Your significant others outside of your workplace make good sounding boards, too. Pay attention to the needs of the coworkers who were laid off. These are your friends and they are experiencing serious issues with self-worth and loss, too. So many people tie up so much of their identity and self-esteem in what they do for a living that a layoff is a major blow to their sense of themselves, their competence and self-worth. You do them a kindness, and you will feel better, too, if you continue your weekly lunch date with your laid-off coworker. Let your laid-off former coworker vent and listen to see how you can lend support. Sometimes, active listening is all they need. You will feel as if you have a proactive mission and purpose when you connect your laid-off coworkers to your connections on Facebook, LinkedIn, and the other online social networks. Anything you can do to help them expand their networks and effectively perform a job search will be valued by your friends. If you are not receiving the communication you need from your manager, seek it out by asking questions and spending time with him or her. Go after what you need; don’t wait for communication to flow downwards. Hopefully, your organization has recognized the importance of valuing the remaining employees. But, if the opportunities for reward, recognition and valuing seem slim, volunteer to head up an employee morale committee. The committee can do much to bring fun and motivation back into the workplace following layoffs. Think ice cream socials, popcorn machines, and potluck lunches; the activities don’t need to be expensive. If you are taking these steps but you are feeling increasingly worried and depressed, seek professional assistance through your Employee Assistance Plan (EAP) or use your private insurance to cover counseling. The emotional aspects of an employee layoff are the most difficult to soothe, but there are several additional results after layoffs that survivors need to cope with, too. Initially, we discussed the emotional aspects of losing your coworkers in a layoff. Here are additional thoughts on coping with your post-layoff workplace. Following an employee layoff, tapping the passion, creativity, and commitment of the remaining employees is critical to a successful future. Your role as a survivor is to contribute to ensuring that success. The tendency of employees in a post-layoff workplace is to hunker down to fly under the radar and avoid being noticed. It stymies creativity, risk-taking, and forward movement. This is exactly the opposite of what your company needs from you now. With fewer employees, a quieter workplace, and the emotional trauma of the layoffs, it is tough to rally the remaining troops to contribute on the level necessary to avoid additional layoffs. This is exactly what employees need to do. Step up, increase creativity, pay attention to the company mission and vision, and contribute your best efforts and ideas. In a layoff, more work remains for the employees who survive the cuts. The people who were laid off leave their whole job for others to accomplish. That is just the way it is. Failure to recognize this is like the ostrich with his head in the sand. No amount of hiding will make this fact go away. The best approach to divvying up the missing coworker’s work is to meet as a team or departmental workgroup with your manager to determine what must be accomplished for customers. You can’t accomplish everything your coworker was contributing so your own job might substantially change. You may need to eliminate the components that don’t directly serve your internal or external customers. An approach, during this discussion, that emphasizes continuous process improvement will best serve the layoff survivors. Fewer steps and less time invested in the remaining elements of departmental work processes will streamline work and eliminate unnecessary steps. But, sometimes more is needed. Accomplishing the work may mean restructuring your organization. Perhaps the initial plans for restructuring were made by management before the layoffs. In fact, these plans often determine who is laid off. If not, now may be an opportune time to determine that advertising, marketing, and public relations, as an example, belong under the same umbrella. Hopefully, in your role in your organization, you will have the opportunity to affect the portions of the workflow that affect your job. Studies by Anne C. Erlebach, Norman E. Amundson, William A. Borgen, and Sharalyn Jordan indicate that grieving coworkers were reassured when they were allowed to participate in the restructuring process. They were more committed to the organization’s moving forward to new success. The same study indicated that "Survivors were critical of aspects of the process that seemed counter-productive, wasteful of resources, or unfair." Make the restructuring and reorganizing a win for everyone. Ask to be part of the process. Layoffs are never a positive experience. You lose cherished coworkers, your workload may increase, tension is palpable in the workplace, and you experience a range of emotions that are painful and disorienting. I trust that these ideas will help you weather the experience. Please share your tips for dealing with the loss of laid-off coworkers.